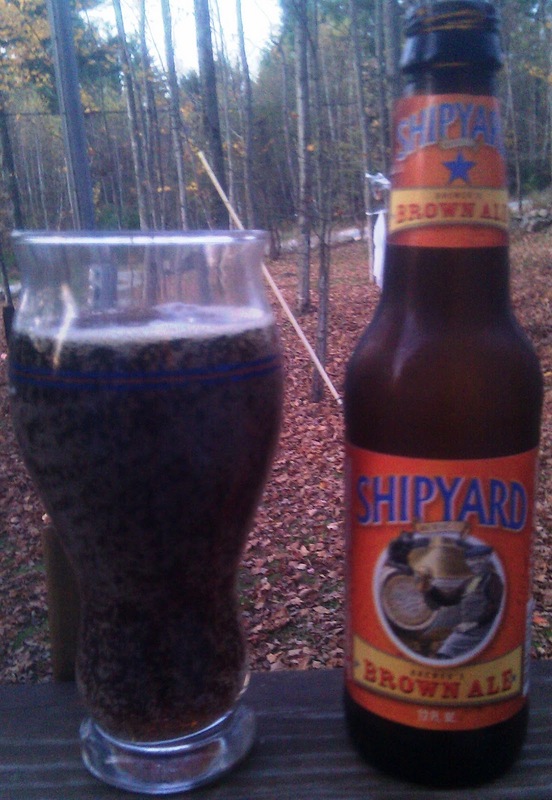 It seems that all Shipyard beer have a very similar flavor. Not sure if they use the same hops across all styles of their beer but there seems to be a common flavor. I enjoy brown ales but this had to be one of my least favorite. Pours a dark brown as you would expect with a slight head that disappeared quickly. Aroma is OK but nothing special. Overall this was a disappointment which seems to be my experience with Shipyard beer. Brewers Description: A full-bodied, dark brown ale made with 5 different malts and 3 varieties of hops. This bee has a nice, smokey taste up front and a smooth, full body finishing with a crisp hop bite at the back.